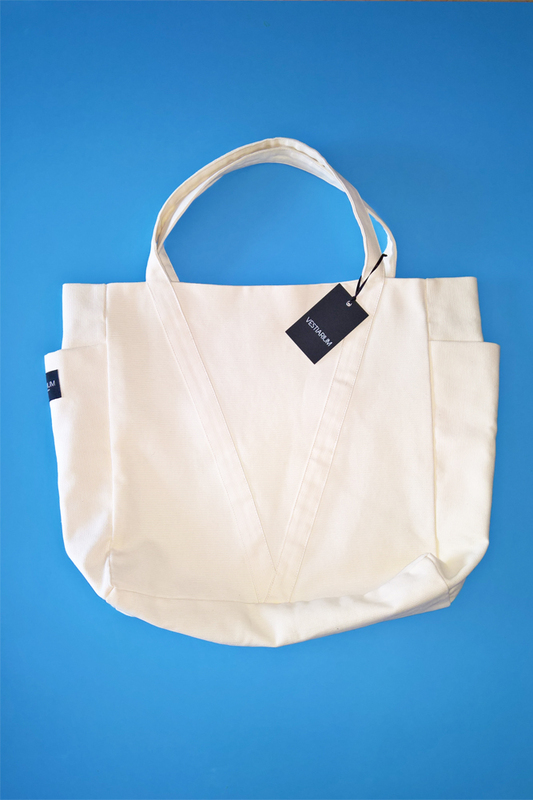 A sizeable bag made from heavy cotton or wool-mix fabric, fully lined. The big pockets in both ends are designed to be big enough for water bottles and small umbrellas, to keep you equipped for different weather conditions! Care instructions: Monochrome bags: delicate machine wash max 30°C, wash with similar colours, reshape when wet, do not tumble dry, ironing max 100°C (1 point). 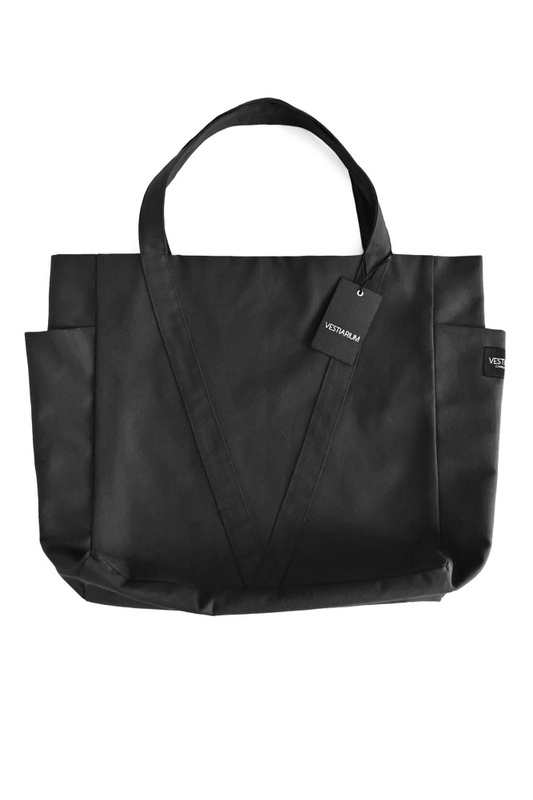 Black&white bag: dry clean only.